200 wide x 50 depth x 85 high cm. 220 wide x 50 depth x 85 high cm. 240 wide x 50 depth x 85 high cm. 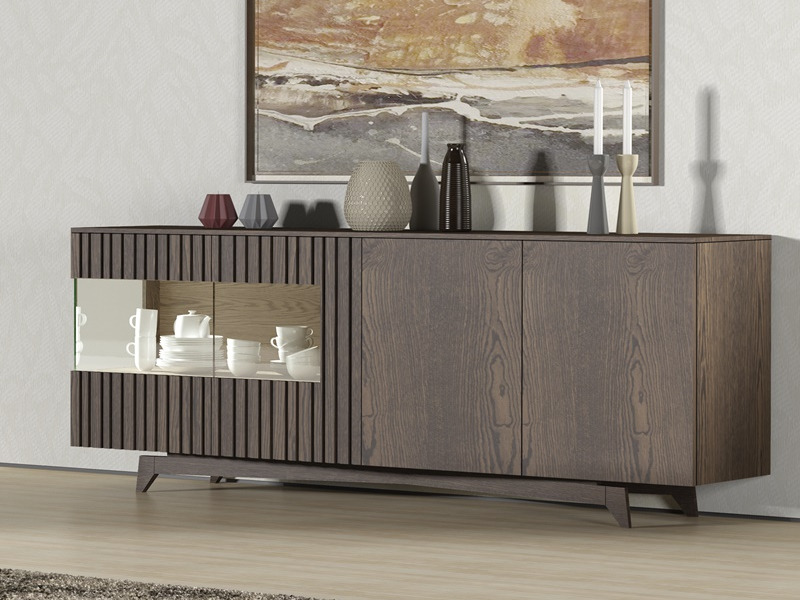 Elegance and functionality for this 4-door sideboard with an interior drawer and an original solid wood base. 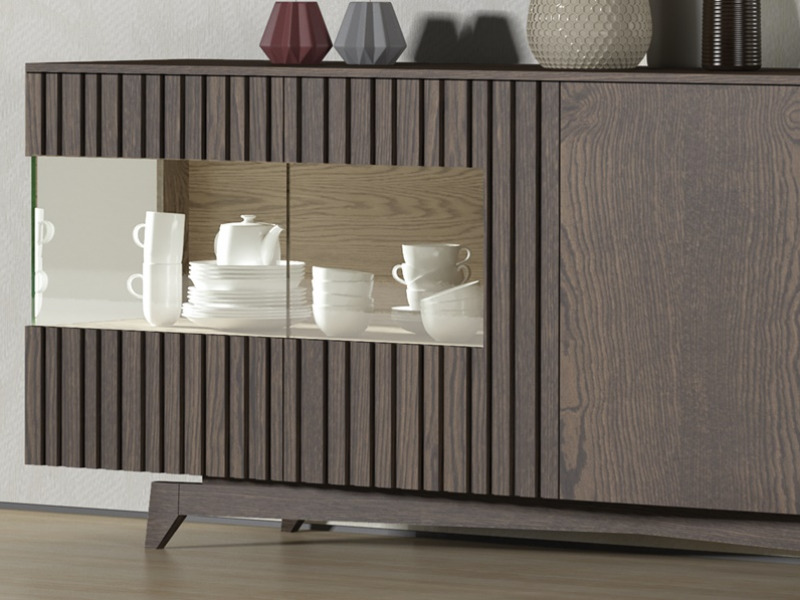 Italian style and handcrafted by master cabinetmakers combining the tradition of wood and a maximum of design. High quality materials: water repellent MDF, solid ash and sycamore wood and lightened panels in wood particles or lacquers. Solid wood with natural veneer. Original fronts with glass doors. Interior with extractable drawer with metallic runners. Interior wooden door box: 2 shelves. 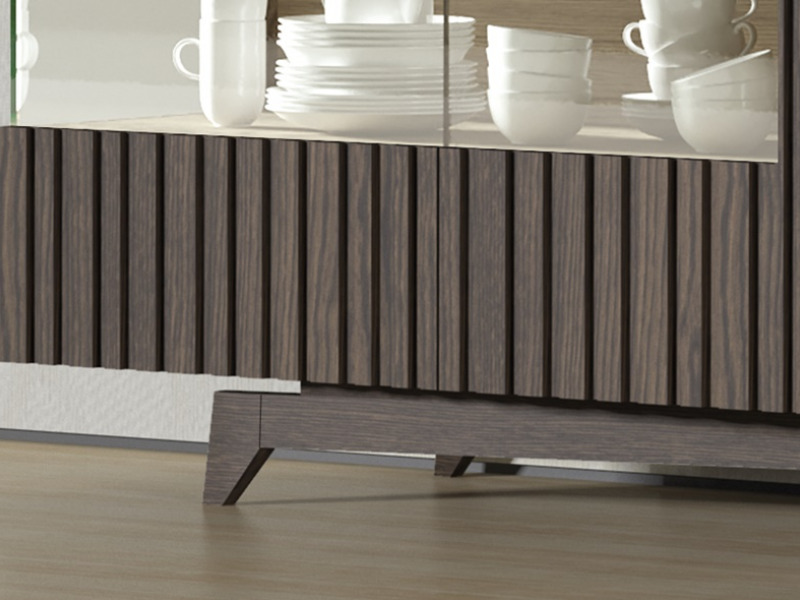 Doors with BLUM system hinges with soft closing and PUSH opening system for drawer and doors. Finishes in natural veneers, acrylic lacquers, matt or high gloss lacquers, dyes. 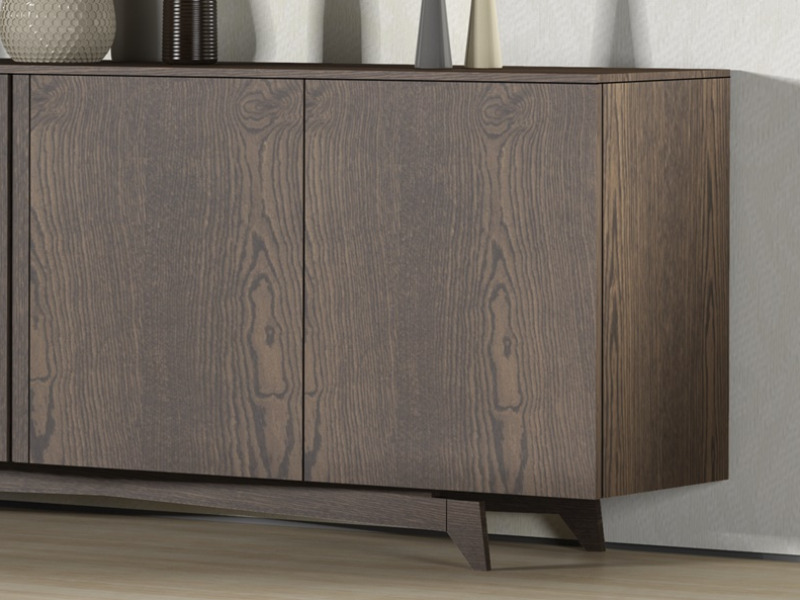 The indicated price is for the sideboard in the same finish as the picture: eucalyptus wood in matt finish.